The Kentucky Landing pays homage to our great Commonwealth. We will have a variety of local and regional craft breweries pouring samples of their Kentucky-based creations, while local food trucks from all over the Bluegrass State will be dishing out local cuisine. In addition, a select group of non-profit organizations and craft vendors will be on-hand selling their Kentucky-made goods. Full details on 2019 participants coming soon! 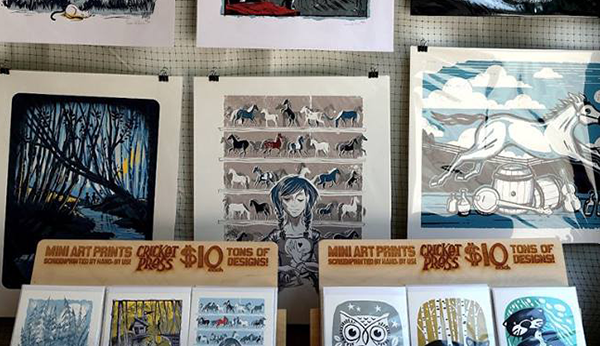 A staple at Forecastle Festival, the API Poster Show gives designers from around the region the chance to showcase their incredible catalogues and connect with their many music-loving fans. With thousands of unique, hard-to-find and out-of-print posters available, it’s a print collector’s dream. Don’t miss your chance to chat with the artists and find a new favorite print for your home. Buy the ticket, take the ride. 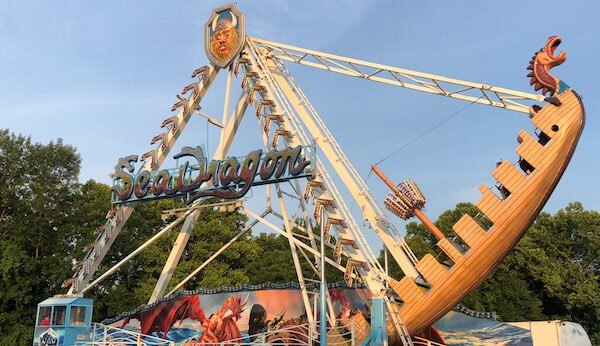 The mighty Sea Dragon will return to the Harbor Lawn in 2019, so prepare to come aboard and take your Forecastle experience to new heights. Attendees will also be able to soak in the sights and sounds of Waterfront Park with a trip up and around the Forecastle ferris wheel. Two more reasons to get your crew together and join us July 12-14 on the banks of Ohio River!